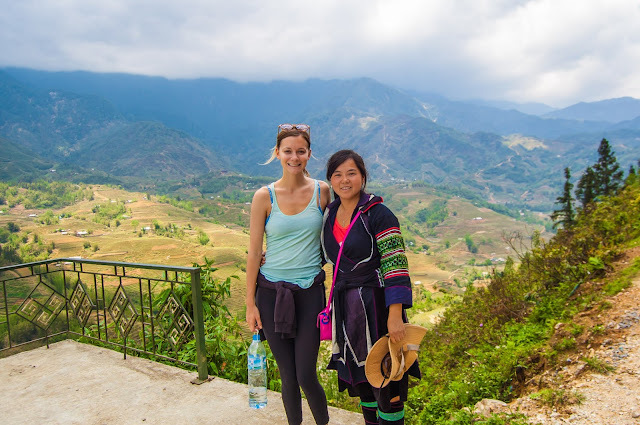 Terraced rice fields, always an arresting sight, had already put Yên Bái Province’s Mù Căng Chải District on the nation’s tourist map, but there is an added attraction now. The terraces now bloom with the yellow flowers of canola, a rapeseed cultivar famous as the raw material for a cooking oil. Starting from February this year, visitors can feast their eyes of terraced canola fields in bloom. Of more than 1,600ha of agricultural land, farmers planted canola on 500ha during the 2016 winter-spring crop. 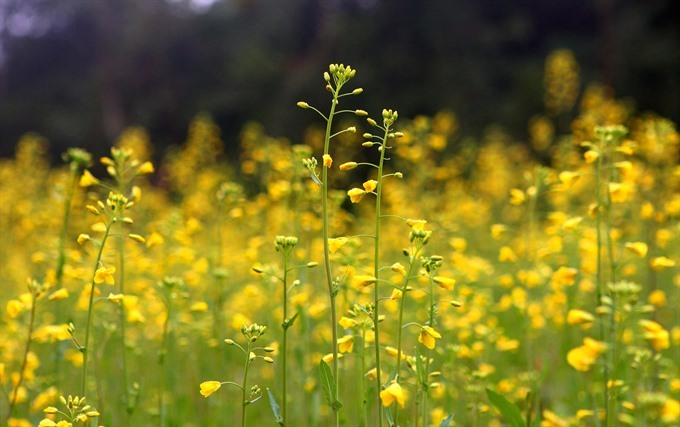 Authorities are hoping that the yellow canola in bloom will draw more visitors to the area, expanding the tourism season that has been confined to the rice crop thus far. Deputy Head of Mù Căng Chải Agriculture and Rural Development bureau, Lương Văn Thư, said: The Mù Căng Chải rice terrace festival is held during the harvest season in mid-September every year. 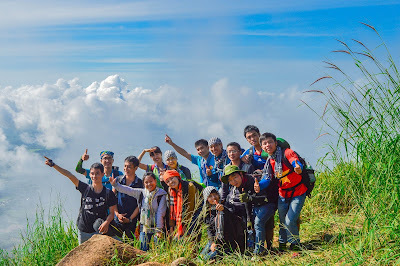 This is the time that the locality receives the most number of visitors. 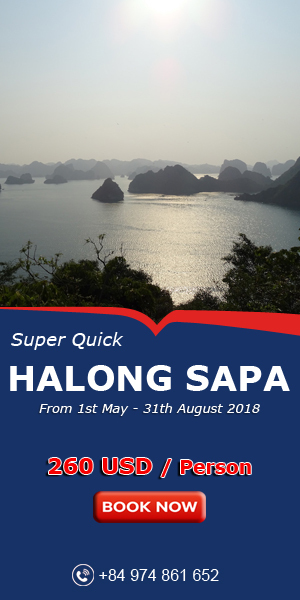 In order to diversify income sources as well as tourism products, the authorities have encouraged local farmers to grow rice on schedule so that they ripen at festival time, and to plant canola in December so that they bloom by February and March this year. 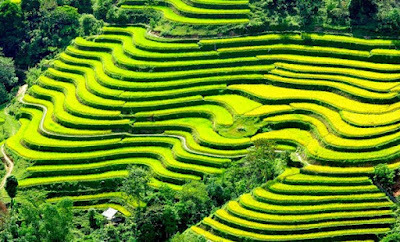 “These yellow canola terraces have great potential to be a new tourism product of the locality, besides the traditional rice terraces. To motivate the farmers, the district has called for businesses to sign contracts with the commune and invest in farming oil seeds, provide fertilisers and buy the produce,” - he said. 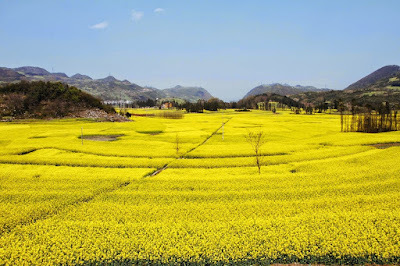 Will you come here to admire blooming canola terraces ? Please contact us for advice and the best service.